Greg was born and raised on the Mornington Peninsula where he currently resides with his wife Paula and their two children. Greg graduated from Melbourne University with First Class Honours in Law and subsequently won a Fulbright Scholarship to complete a Masters of International Relations at Yale University. After university, Greg worked with Mallesons Stephen Jacques before becoming Associate to the Chief Justice of the Federal Court. Between 1994 and 1998, Greg worked as a Senior Adviser to the then Opposition Leader and subsequent Minister for Foreign Affairs, Alexander Downer. He then headed Australia’s electoral mission to Cambodia in 1998. Greg then worked with McKinsey and Co for almost three years, during which time he became an Engagement Manager and specialised in telecommunications, start-ups, government reform and the banking sector. Greg was Shadow Minister for the Environment from 2007-2013, and was Minister for the Environment between September 2013 and July 2016. As Environment Minister, Greg counts his key achievements as establishing Australia’s Emissions Reduction Fund, developing the Great Barrier Reef 2050 Long-Term Sustainability Plan and $1 billion Reef Fund. Greg was appointed Minister for Industry, Innovation and Science in July 2016 and was responsible for implementing the Government’s innovation agenda and ensuring support for Australian jobs today, tomorrow and the jobs of the future. In January 2017, Greg was appointed Minister for Health and Sport. Greg is incredibly passionate about the health portfolio and his vision is to ensure that Australia has the best health care system in the world. Greg is guaranteeing Australians’ access to health services and affordable medicines with the establishment of the Medicare Guarantee Fund to secure the ongoing funding of Medicare and the Pharmaceutical Benefits Scheme. Greg has struck partnerships with the nation’s GPs, specialists, pharmacists and the medicines sector. This is historic; as it is the first time a Government has achieved simultaneous partnerships with all sectors and underscores the Government’s rock solid commitment to Medicare and delivering the health care people need. Mental health is an issue that is particularly important to Greg. 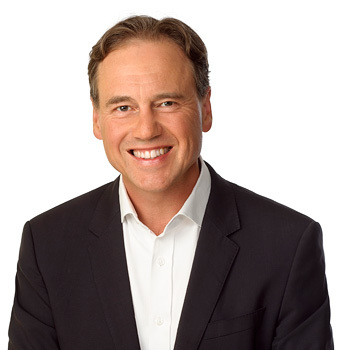 Mental health touches nearly every family in Australia and he is making this a focus of his role as Health Minister to improve mental health services. As the Member for Flinders, Greg has completed four 500km walks around his electorate – in 2004, 2007, 2011 and 2015 – to raise funds for Juvenile Diabetes and Autism Spectrum Disorder.